November 2016 Attached is the final report on a research project that ABAA was involved in. The project was to determine the most appropriate way of retrofitting old CMU constructed buildings from the inside. First a list was generated of all the potential methods for retrofit. From that the list was culled down based on cost and expected energy savings. From that a short list of potential walls were modeled to determine energy savings. Two of the most promising walls were then constructed on the Building research Platform at Oakridge National Laboratories. They were instrumented and monitored. The attached is the final report on this project. February 2013 – August 2015 The National Research Council (NRC) in collaboration with ABAA performed research on “Performance Evaluation of Proprietary Drainage Components and Sheathing Membranes when Subjected to Climate Loads.” Listed below are 10 reports on their findings. May 2014 The purpose of this project was to increase the knowledgebase on air barriers for residential buildings. To this end, nine air barrier assemblies were evaluated following a modified version of the ASTM E2357 Standard Test Method from the American Society for Testing and Materials. The assemblies included the eight air barrier types that are readily available in the US, even if some of these are currently mostly used in commercial construction. October 2013 Buildings are responsible for approximately 40% of the energy used in the US. Codes have been increasing building envelope requirements, and in particular those related to improving airtightness, in order to reduce energy consumption. The main goal of this research was to evaluate the effects from reductions in air leakage on energy loads and material durability. To this end, we focused on the airtightness and thermal resistance criteria set by the 2012 International Energy Conservation Code (IECC). Requirements from the 2012 IECC will be setting the path for construction practices across the nation for some time given the slow adoption rate of new codes. As of September 2013, the 2012 IECC has been adopted fully or with limitations by only seven states. September 2011 The Buildings Technologies Research and Integration Center (BTRIC) at the Oak Ridge National Laboratory (ORNL) performed field evaluations of 24 wall panels with different types of air barriers that are commonly used in residential and commercial construction. Field assessments were conducted from September 2009 until August 2010 at the Building Envelope Systems Test (BEST) laboratory, which is located at Syracuse University, Syracuse, NY. 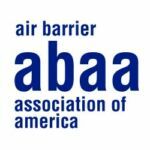 This project is a cooperative research among ORNL, the Air Barrier Association of America (ABAA), Syracuse University, and the New York State Energy Research and Development Authority (NYSERDA).